If you’re coming to FM from a different operational background, or from a sales and customer service perspective, it can be tough to transition while getting familiar with the sub-cultures and petty rivalries. Here now is a handy field guide to the more basic internal tyre-fires raging on in our little slice of the workforce. 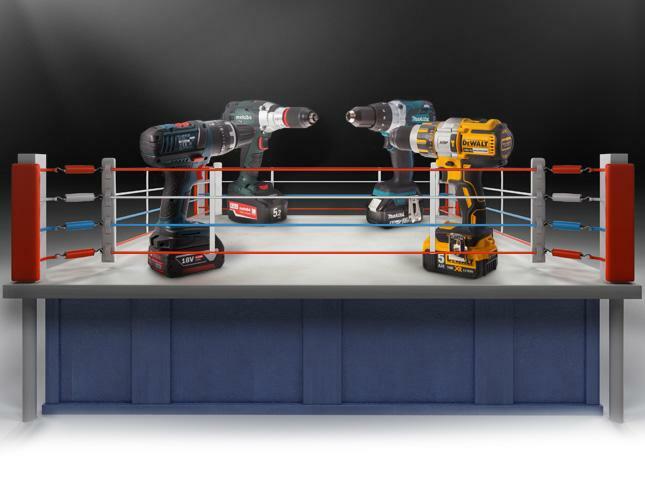 For those who are otherwise not handy at home, the religious wars in the general trades power drill market will come as a surprise. Appearing knowledgeable with the basic articles of faith will help ingratiate you to the only electrician in your vendor list who is up to date with their public liability insurance so it’s just easier to use them for everything, ok? Learn their colours. The main ones are YELLOW, RED and BLUE, and GREEN for some old fogies. But not THAT yellow, light blue not some other blue and get that orange out of here. We’ll expand later. Know what Brushless means. When the motor inside a drill spins, a brush is used to keep the centre from veering off-course. The brush adds friction so the drill has to draw more energy from the battery to get up to required speeds. But if a drill is brushless, that means the engineering and materials that have gone into the motor bearings are far more precise and durable. If the tradie has spent the money for brushless, you are permitted to say “Is that a brushless motor? NICE”. Ignore the subtext. Regardless of how much you’d rather avoid any discussion of racial or national stereotypes in your work environment, you are permitted to use very barely coded language to tie power drills into broader, less polite discussion. So you’re expected to contrast the poor performance of Chinese-made drills compared to say, German or American ones. Casually mention that of course, Japanese drills leave everything in the dust to regain some credibility, but revert back to the mean by couching this superiority in terms of efficiency and battery usage. When discussing power, drills should only be admired if they’re made in a country that was a signatory to the Marshall Plan. Ryobi (TEAL? GREEN? GREENY YELLOW?) - cool! McDonald's now has a $2 menu! Black and Decker (TOY ORANGE) - why pay $2 for a hamburger when I can just get one from a dumpster for free? Not all, but many FM contracts will require some form of real-time budgetary oversight. This is not unique to FM, but the volume of requests that come across your desk every day makes it hard to treat each job as unique. Getting a separate purchase order for every work order that reads “Replace 6x blown globes on Lvl 2” becomes a hellish ordeal without a Variable PO, where a sum of money is assigned for the month and every straightforward, repetitive work request can be tallied off that. The flip side of this argument is delegation, which is a dollar figure at which the facilities manager is allowed to approve without freeing up funds first. Usually this is $500. WARNING: Do Not Let Your Contractor Know If You Have a Delegation. If an estimator knows you can approve $1000, they will find a way to quote you $990 for any and every job. There’s a few reasons most suppliers stick to one specific trade. Sometimes the reason is that they’re a sole trader or small partnership. Sometimes it’s to concentrate on doing one thing very well. But it’s also because it’s hard to get a plumber, electrician and mechanic to co-exist without a war breaking out. Disagreements aside, there is an unspoken Brigade system at work in the world of trades, and it’s handy to know roughly where everyone stands. Engineer, Electrical Engineer, Hydraulics Engineer – The best of these guys are people who have worked their way up from mechanic, electrician and plumber. They all have earned the right to have legal liability for catastrophic failure stemming from their designs. No pressure then. Electrician – The rankings here stem in part from level of tertiary education needed, and equal part how likely death can occur. Electrician tops it out. Not only do you need to be university educated, but they’re also the ones who can’t really screw up when terminating a 14kv busbar. Of course, Electricians have their own grading system, as electricians only trust other electricians. HVAC/Lift/Plant Mechanic – Of the three, the tradie doing the Lift is probably the most stressed, as the wrong fix can create a significant risk of death/awesome action thriller sequence. The HVAC mechanic gets the most work but also the most agitation, and the person who knows how to fix production equipment is feted as Nikola Tesla when they show up. Plumber – The Poseidon to the Electrician’s Zeus and the Mechanic’s Hades. The Plumber is temperamental and extremely well paid. Here, the high ranking stems from the potential of poo-water if the tradesman is not engaged immediately. Fire Tech – Whether they’re testing pumps or draining down a sprinkler pipe or checking a Fire Service panel for faults, rest assured that you will be paying the equivalent of your own daily salary, per hour. Carpenter – Even though the building could fall apart without their efforts, chippies are derided as the slacker losers of the higher trades, the Gandalf to the Electrician’s Saruman. But usually these guys are the most muscly so they get invited for cake during a staff birthday party. AV and Data technician – to everyone else, they’re seen as good-natured younger guys and gals who make sure the breakout room TV gets Foxtel. To Electricians, they’re seen as something like adorable babies wearing mum’s shoes. Security – Here in Australia, where guns are not common and violent crime is relatively low, Security guards are treated like people who maybe live at the building? 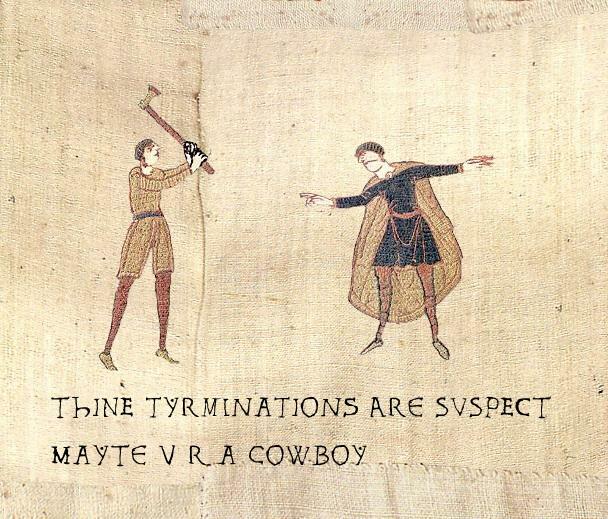 No-one’s sure. But everyone becomes very friendly with them when they need keys and/or lift access. Cleaners – The least educated (for the job) and the hardest working, they’re also the ones who cop the most abuse if they make a mistake. For why even come in to work at all if there’s still a few staples stuck to the carpet under my desk? Special Teams – Water Chemists, Pest Control and Window Cleaners – the first two are guys who always go for a Science and Nature question when playing trivial pursuit; Rope-access window cleaners are rock climbers who want to do some physical work during their year off from uni study. So now that you know the playing field, get out there and embarrass yourself in front of your contractors today! Older PostWhat Would a Facilities Management Hero Look Like?